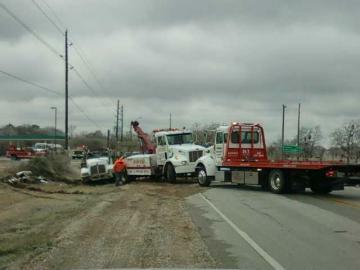 We offer fast towing service at competitive rates. When your vehicle breaks down, you need a company you can trust to arrive quickly and provide the help you need effectively. When you call us, that''s exactly what you''ll get: a company providing you the towing or transport service you want at the price you want to pay. 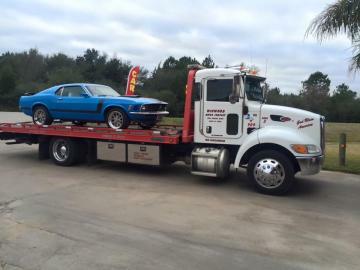 What makes us different from other towing services? We are customer service and client focused. We understand that most of our customers call when they''re experiencing trouble, so we provide friendly service at competitive rates. We will always do our utmost to get a tow truck to you as quickly as possible, and tow your car wherever you need it in the Santa Fe, TX area. Our goal is to minimize your hassles and get you back on the road as quickly as we can. Need assistance moving something to and from point A to point B? Whether it&apos;s a large shipping container or your prized retro vehicle, you can depend on Winwood Motor Co.